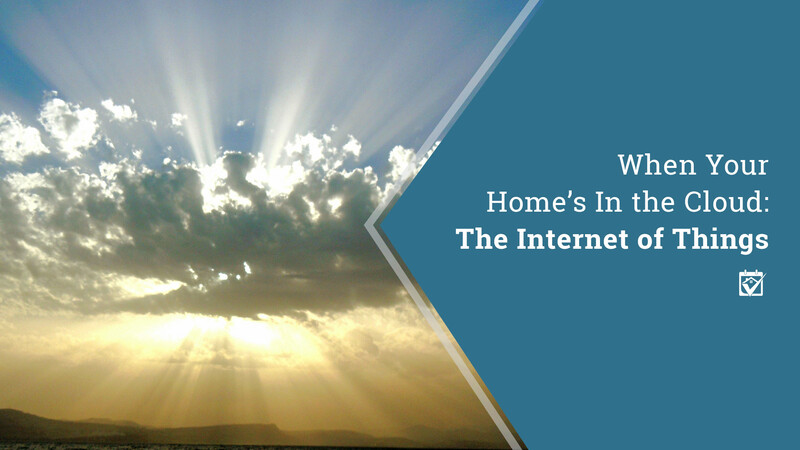 All those items that live in your house and report back to your smartphone or your hub or maybe even work with your voice assistant, when you consider them together, they make up a part of the Internet of Things. Everything connected to the Internet one way or the other that’s not a desktop, laptop, tablet or smartphone is part of the Internet of Things. So, your swank SmartTV, your bluetooth-enabled dishwasher, that self-closing garage door, maybe even your security system, they’re all things that are part of the Internet of Things. It’s important to make this differentiation because unlike the other Internet, the Internet of Things has a big problem that is only just now emerging. Security has become a bit of an issue, with smart home devices turning into backdoors into home and business networks. Older Internet of Things products are the most vulnerable, since it was uncommon for security to be considered in their design. After all, who’s going to hack a coffee maker? It’s not really the coffee pot that’s the end goal, as it turns out, it’s access. Access to a network that can be used against another entity, often without the owner’s knowledge at all. You could be happily percolating a pot of beans while your coffee pot is participating in a denial of service attack against AT&T and never be the wiser. It’s nefarious. Just because your smart home may be at risk right now doesn’t mean it’s not worth having. That would be just like saying your car is at risk of being hit in a parking lot, so you should never go to the market or maybe even never own a car. Smart home technology can improve and enrich lives when applied strategically, but that’s kind of the crux of the issue here. Having a bluetooth-enabled coffee pot is maybe not a strategic smart home item (but then again, maybe it is, you do you). What is the brand’s commitment to security? If your product is designed to automatically accept new software when it’s available and allows you to change the password at your leisure, these are good signs that the manufacturer is trying to keep their Internet of Things products secure. Since these updates will be one of your primary defenses, they should be given a high level of consideration during a purchase. Is this a product that should be connected? Sometimes, brands connect items that maybe don’t need to be connected, like that smart toothbrush, or maybe you don’t need them connected, like the smart coffee pot. It’s ok to not buy a connected item when you have a smart home. In fact, if you strategically purchase bluetooth connected items, you’ll minimize your security risk. So, you have that shiny new connected refrigerator and you’re ready to hook it up to the world. Before you do, it’s time to brush up your Internet of Things security! Here are some tips from us. 1. Set up a separate network for your Internet of Things devices. Known as network segmentation, having a separate, dedicated network for your devices will shield your computers and other more traditional hardware from any risk that your smart home could create. It’s always a good move to have a secondary network, anyway, then when visitors come you can give them the password to your guest network instead of your main network. 2. Always, always use a firewall and WPA2 wireless security with your router. Together, the two will give you extra layers of padding from the outside world. If a hacker does get through, it’s not for lack of armor on your side. 3. Use good passwords. A good password is one that doesn’t relate to you in any way, it’s not your birthday or your kid’s name or your dog’s anniversary. It’s numbers, letters, special characters arranged in some way that you can remember, but not so obvious that someone else could guess. Also, make sure you choose a different password for each device on your network. A password vault can help to keep track of all of these names and numbers, in case you ever need to use them again.